We have many records, books and historical documents to aid you in your family history research. 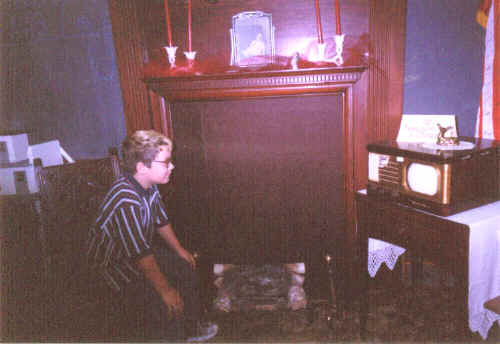 We have many displays for you see on your tour thru the museum. 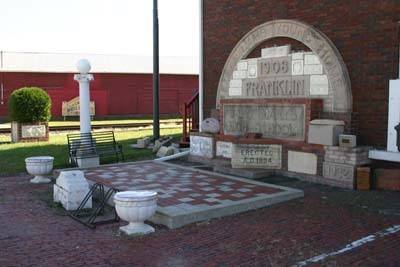 The Clinton County Historical Society is offering the opportunity to "BUY A BRICK" in one of our Heritage Gardens. 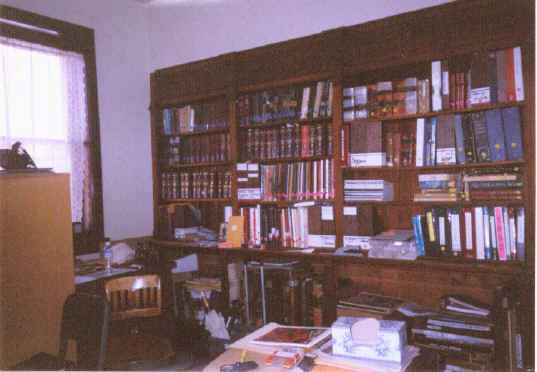 Research Library. 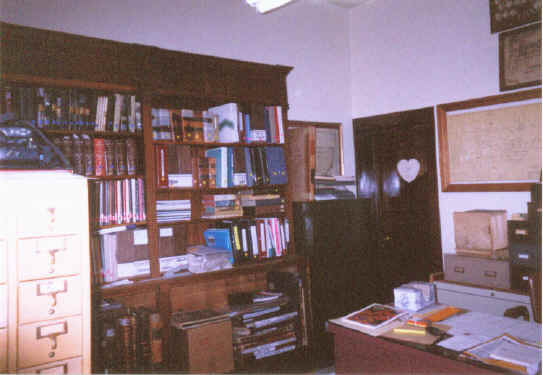 We have many original books, documents and records to aid you in your family history research. Heritage Gardens. We now have three Heritage Gardens. What a great way to support the museum and honor a loved one. Events. 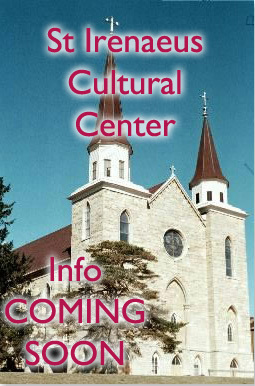 We invite you to join our events and help promote and support the Museum and St. Irenaeus. The Clinton Co. 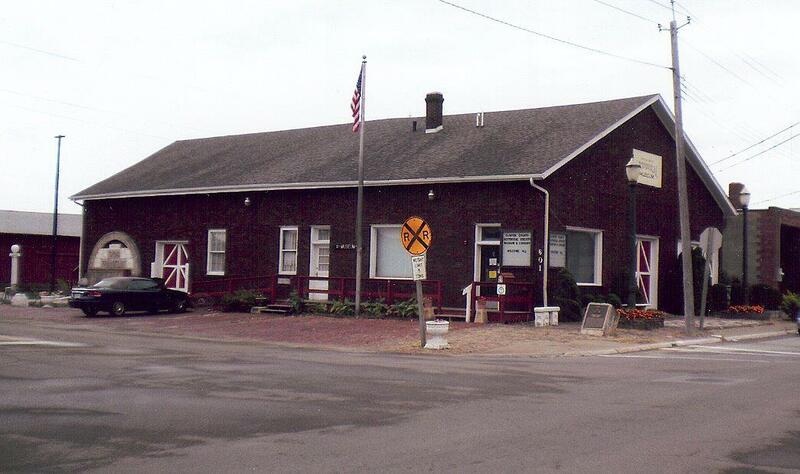 Historical Museum and Library is in downtown Clinton at 601 South 1st Street. It is one half block west of the southern end of Riverview Dr. 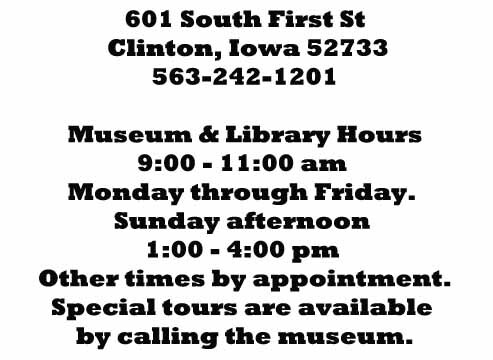 Hours are Monday-Friday 9 a.m. to 11 a.m., Saturdays by appointment and Sunday 1 p.m. to 4 p.m.
Special tours at other times by prior arrangement. 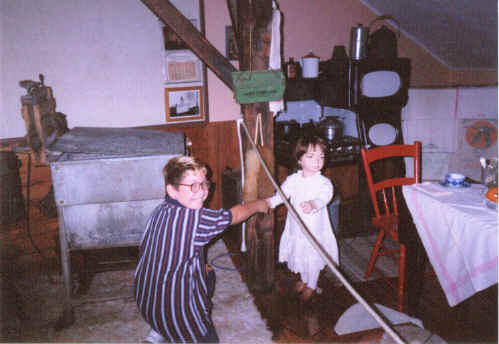 Established in 1965 to preserve, promote, and display the history of the residents as they lived, played and worked. The museum building is a historical landmark dating from 1858. Originally used as a Commission House for steamboats, it was sold to the Oakes family in 1880 for their lumber yard. The operation continued until 1983. 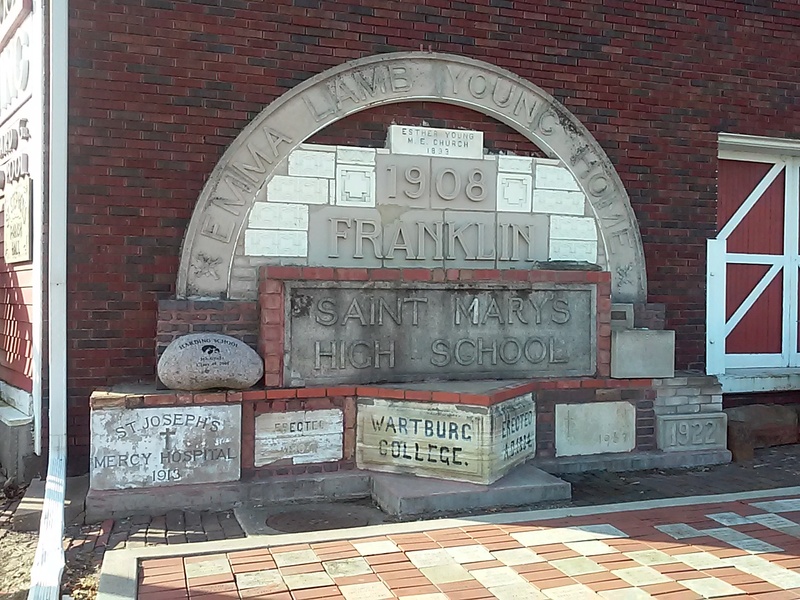 In 1995, the building was purchased by the CCHS to develop into a museum. The purpose of the Museum is to preserve and interpret historical artifacts which have been donated to the museum by the public. 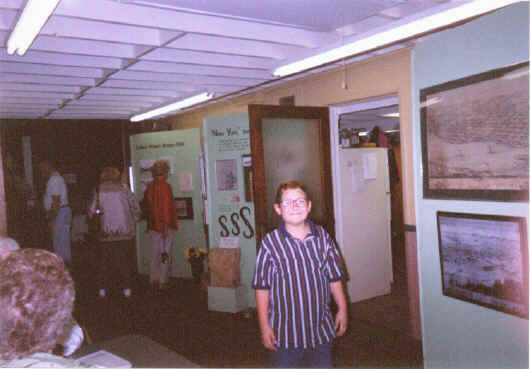 Included in the collection are many historical documents and photographs along with items used in various exhibits. The CCHS is an all-volunteer organization. Volunteers are always needed and welcomed. Please contact the us at 242-1201 for more info. Please join us on our new FaceBook page where we list some of the books and things that are forsale at the Clinton County Historical Society Museum. There are some really great deals on books and more! Join us on FaceBook where we post updates to the Research Library, queries and other genealogical information. We just started a page on Pinterest where we are linking to some really unique content involving Clinton County.